An exploration in storytelling from a marketing perspective. This year will see a lot of experimentation with bridging the television and social experience. With more people actively watching while Tweeting, posting and checking in, the dual-screen environment offers greater connection for fans beyond the one-dimensional experience of traditional viewing. And, with the reported declines in monthly TV viewing, getting the people who are watching to pay more attention won’t hurt TV’s chances of weathering the increased pull of online video and other distractions. Networks and cable television have been the target of speculation for the past several years as an area where innovation would be the only way to sustain their relevance. With the help of social media, these channels are finding that they’re becoming more relevant than ever as a platform for brands to find a deeper connection with consumers. As brands adjust to the connected online discussion, they’re finding new ways to connect. As consumer attention habits evolve to fit the new channels available to them, they’re finding more ways to tune in and discuss their favorite shows with friends online – and interact with brands. Currently, broadcasters like Bravo, Oxygen, CNN, Fox and others are leading the way in social TV. Social opens up new revenue streams for broadcasters giving brands additional avenues for sponsorship and advertising. And, broadcasters are finding clever ways to maximize fan engagement during live broadcasts. Sports programming like that of ESPN greatly benefits from live event programming, while MTV matches online content to fulfill the needs of their fan base. And where broadcasters are treating their shows as brands themselves, they’re winning – reaping the benefits financially, and creating fan advocacy/loyalty too. Take, for example, Bravo TV and their impressive stats surrounding “Last Chance Kitchen” (the online competition allowed fans to vote back eliminated contestants). 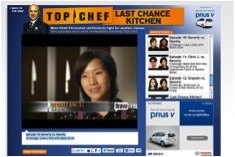 According to Bravo, 26% of the audience who watched “Top Chef: Texas” were actively involved in “Last Chance Kitchen,” and the reveal episode (where Bev won) was the season’s highest rated episode. Further, the social engagement around the program shattered all kinds of records for NBC Universal. While broadcasters have begun to set the tone for social TV in its latest evolution, brands have been experimenting and looking for new ways to connect through social integration. In fact, one brand that’s clearly risen to this challenge is Red Bull, as illustrated by a recent Fast Company article. They’ve completely immersed themselves in content its customers crave – and they’re reaping the benefits, financially. Through advanced analytics, brands have more insightful knowledge about their customers than ever before, but even better – direct access to their fans is only a few keystrokes away. While hashtags during network broadcasts are becoming commonplace and Facebook integrations give fans a way to connect outside of regular programming, other tools are beginning to find their way into the social TV integration set. GetGlue, the social TV check-in app continues to grow in popularity among television watchers. In April, the social platform outpaced Facebook as the second-most-popular social engagement platform behind Twitter. Social music app Shazam has also been raising its profile among consumers of connected entertainment. During shows like “The Voice,” fans can scan audio and download the songs sung by participants. And “The Glee Project,” where fans could enter contests and further engage with the show. Bringing music and other elements into the experience helps to extend the value beyond a discrete discussion fans are having with other fans and friends. As brands push deeper into the opportunities to connect through this integrated medium, a few guideposts will help align the purpose with the experience. 1) Convene to Create Value: With the television program the domain of the network, the brand can still have a relevant and effective presence in social TV. Being the convener of the discussion or enabler of the social interaction can be just as compelling as being an advertising sponsor of the program. 2) Enhance, Don’t Duplicate: Merely offering a duplicate experience through an alternate channel misses the point of the social TV viewing experience. Bring viewers into a closer connection, broaden their understanding, get more detail, etc. And, don’t limit this ability to merely the first run of the program. Give consumers a reason to revisit the content and interact with the brand. 3) Create Relevance: Being relevant will never go out of style. It’s particularly important to bring something of value in the limited attention span of social TV. 4) Create a Compelling Experience: Compelling content and experiences can come in any number of forms. An integration doesn’t have to be overly complex to be compelling. In fact, often it’s those integrations that disrupt the least that are most useful to the viewer. Keep the viewer engaged in the experience they’re interested in, while giving them extensions that create value in that experience, rather than detracting from it. 5) Not Marketing as Usual: Intruding on the viewer’s experience can be annoying at best. Understand that the role of the brand is to bring something of value to the experience. Driving home a logo or brand value proposition should be in support of the overall experience, not the purpose for it. So while it may be true that broadcasters are leading the charge right now, it’s only a matter of time before brands rise up and move from looking at social as another sponsorship/integration opportunity and shift their attention to creating or co-creating transmedia content that builds real advocacy and brand loyalty which will turn into real commerce. The activities of the connected consumer will continue to evolve. Take this time to understand consumer attention patterns and how they consume information across channels. Brands can engage in the precursors to social TV activities, like Twitter chats and social advertising to understand how consumers interact with content and the brand. Now is the time to test and learn with discretionary ad budget to discover what’s possible for the brand and its consumers. Thanks to Craig Alperowitz for contributing to this post. 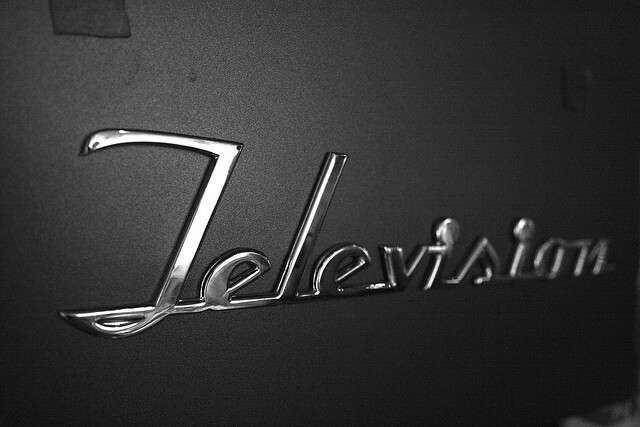 Television header photo courtesy of ccharmon on Flickr. Great post Brad. For the brand hosting these integrated consumer experiences I think relevance to the brand is probably the most important. If the show has a strong tie into the brand it has a better chance of resonating. Second, I think if the online experience can also provide exclusive content it will have a better draw. We’ve started to see a few enterprise apps to tie in viewers as well. What others have you seen. Thanks for the comment, Mike. Relevance will remain the key ingredient, and often the most allusive for brands, primarily as they transition from the ad-driven model into an engagement-driven model. This is where I think the best experience for the viewer will be created. Regarding apps, the market is so diverse across the ecosystem, from content plays to interactive technologies, with everyone trying to get into the game. Appmarket.tv does a good job keeping up with the latest, as does Trendrr.com. But, to me, one of the most interesting areas is in looking at content as an app – which intersects with your concept of relevance. How can we drive engagement and action through content. 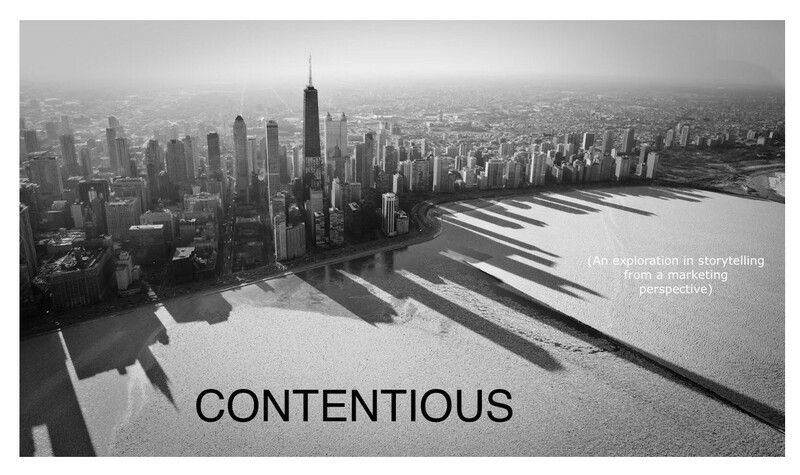 Content, to me, is the killer app. Excellent insight. I think we’ve only seen the tip of the iceberg here. It’s not just social’s version of product placement. Integration is the key. I agree, Blair. It will be interesting to see how some of the partnerships will shape up this year. Particularly interesting will be how the platform providers team up with content and networks. The category is so diverse that the combinations are nearly endless. Thanks for the comment. The one thing I always find interesting is WHY brands choose to connect with audiences and you certainly touched upon it. Being social for the sake of social is not usually the brands’ goal. The goal is usually tied to $$$ and social media is the latest tool in the box to deliver the goods. What you are more likely to discover is brands want to connect with audience on a perfunctory level rather than becoming a truly social organization. Unfortunately, revenue goals hold organizations back from being truly social. How many of the broadcasters look at social beyond the marketing, sales advertising departments? What TV needs is a new way to measure conversations, interaction and viewership. Only when these values can be combined and valued will you see industry laggards (local news programming for example) look beyond their legacy business models to understand the true value of engaged fans/viewers. Oh, and by the way, I too am a believer that social should enhance the broadcast experience. – Thanks Brad, interesting read. Thanks, Steve. It sounds like you’ve worked with as many brands as I have and have seen how easily the conversation becomes about the brand, rather than about the individual. Measurement, as you point out, is key. It will likely become a combination of traditional models enhanced by the metrics that the social and connected environment can offer. It will also take people within brands to take a chance on changing perspectives to champion this kind of change. But, I believe there’s an upside that’s within reach. As others have noted here, the key to success in interactive and integrated social+broadcast media efforts will hinge on “relevance.” It is exciting to see experimentation all over television and radio (terrestrial & internet). Knowing “where” and what time of day, whether or not there is an existing relationship or connection, will empower these experiences to be better received…consistenly embraced, even. Further, those brands who capitalize on delivering actionable experiences in the living room and on-the-go will realize more immediate returns. That goes for social media in a mobile world, of course, yet there is an expectation for brand values and offer to be present in the dual-screen moments they share. This week’s announcement of Microsoft’s (client) SmartGlass initiative with Windows 8, Xbox and mobile makes all of the above more realistic, soon. At the end of the day, STV really no different than listening to and engaging with a passionate community, just based around a story vs an action/hobby etc. I don’t actually think we have seen social TV yet which is different than a network doing social marketing around a program. Social TV should be inherently social, which will come with big changes in or around the technology itself which imho, hasn’t arrived yet. Sign up to receive new posts automatically via email. And, don't forget to Tweet anything interesting to @bradmays.